Our mission is to promote sustainable land and water use and to develop an attractive living environment, with a particular focus on the Murrumbateman region. Photo courtesy of Yass Area of Landcare Groups networks. Please find and like our page - @MLG.Landcare - to receive news and interesting natural history snippets! Murrumbateman Landcare Group runs a community nursery where financial members can grow native plants for their property or garden, for free. The nursery provides everything needed to propagate selected natives from seed and from cuttings. Plants are looked after at the nursery until they are ready to plant out. The nursery is staffed by volunteers and is not a commercial concern. 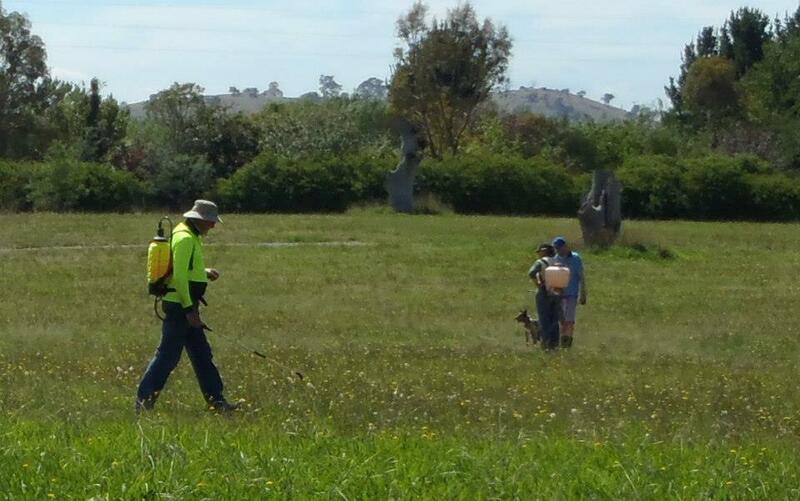 Landcare Linkages for Biodiversity in the Murrumbateman region is funded through three grants. Murrumbateman Landcare Group is working with Greening Australia to link existing vegetation remnants to form a bush corridor from Picaree Hill (a large wooded area between Murrumbateman and Gundaroo) and the Mundoonen ranges, east of Yass. Under the project, many local landholders have received assistance to revegetate their properties. While the project formally finished in mid 2017, the Landcare Group has facilitated similar work on suitable properties. Traps and instructions are available to financial members. Community projects include rehabilitation of the Murrumbateman Common and the creation of a native garden in Jones Park in Murrumbateman village.